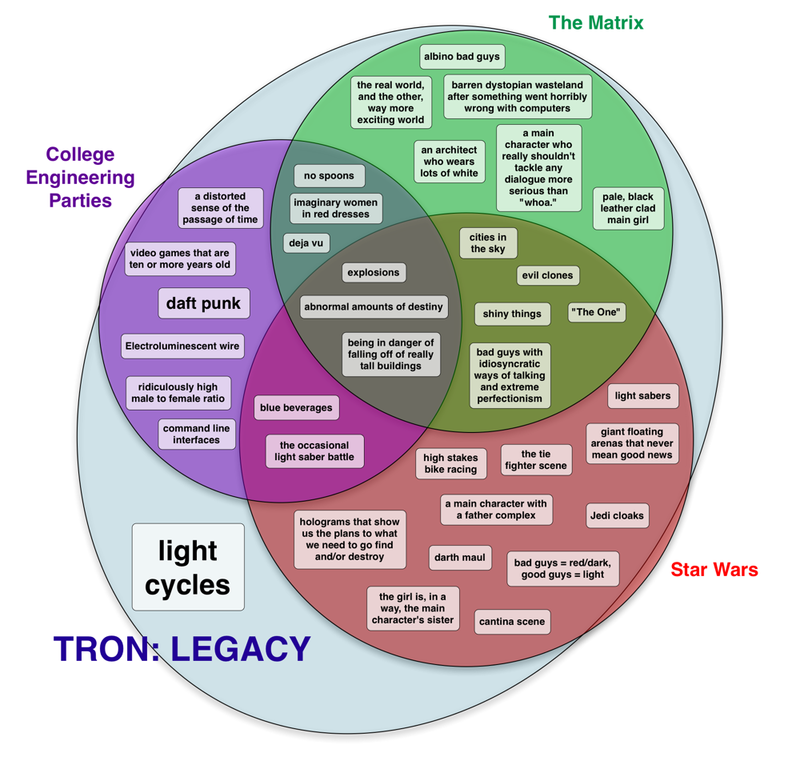 Instead of using words, I’ve decided to express my review of Tron: Legacy as a venn diagram. Because it was really just Matrix + Star Wars + Enginerd Parties + a little bit of extra shininess. Only other comment: they really should’ve done without the…script. Really fun movie, but I would have traded the sum total of all the words for another light cycle race. This was my favorite thing today. I went back and watched the original Tron on Youtube, and I can’t say it sounds much different from the new one. I want to blow this up and make it into a poster.